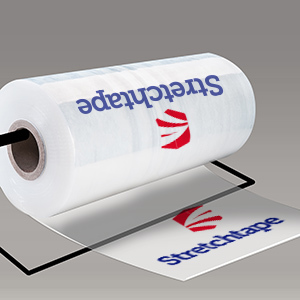 At Stretchtape, we offer random/unregistered printing as an economical method for printing. This is an ideal solution if the exact position of a logo, name, or special instructions on a printed material is not required. With random printing, a design or logo can appear multiple times on a single bag or film, including potentially being cut off near the ends of the package or film. 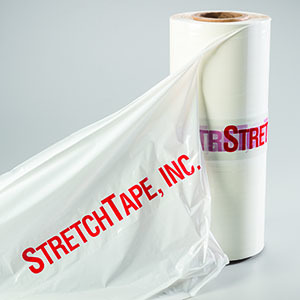 It’s an ideal printing solution for larger bags or packages. Since random print typically does not require as much machine configuration as registered print jobs, it is normally a more cost-effective solution if printing position is not a priority. With registered print, your image printed on film or bag will always be printed in the exact same position from one item to the next. 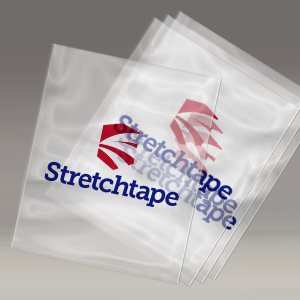 Unlike random or unregistered print in which a logo may be cut off near the edges of the package, registered print ensures that the full logo or printed image is aligned and properly placed in the same location on each and every bag or stretch film. Our in-house custom printing solutions have low minimums and quick turnarounds so you’re printing needs can become a reality in no time.